Okay, so… it’s been a while since I’ve written anything. That’s a cliche and I’m sorry to the four of you who still read these posts, but I gots reasons. This one was tough. I haven’t done much over the winter, so 10K is a large number for me right now. Still, I have enough leftover fitness to knock it out, even though it’ll cost me later. I’m tempted to just count these as one event now, but I run them on different days in different weather, so I suppose I’ll keep going with separate posts. This one will be a bit short, though. Time for the 10K event in the ZombiesRun Fall 2016 Race! Just like last time, there are two leaderboards and two sets of results. There’s access to Rofflenet and training missions and everything else that we had last time, plus a few improvements to the website. Here we are again, and I’m doing yet another virtual zombie race from Six to Start. These are a mixed bag for me, but I’m still happy to register for them. The ZombiesRun! app continues to improve, and so do these races. Between farmers’ markets and overtime at my day job, I’ve almost given up on doing races. Sometimes we get lucky, though. I happened to have a Saturday free, and there was a race just a few blocks from my house. If I could get home to change and register within a half-hour, I was good to go. Here we go with the 10K event in the Zombies Run Spring Virtual Race! 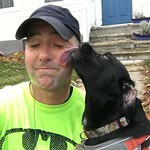 I knew I was too out of shape to be competitive, so I just did a steady cruise with my favorite puggle. It was her first time going that far, so we took it easy. It’s that time again! I’ve been hard up for races since we started the bakery, so I was excited when Six to Start announced another virtual race for the Spring. Naturally, I caught a frustrating cold just before the race window opened. 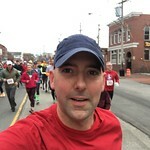 It’s Thanksgiving again, so it’s time for a couple thousand people to go running through the streets of Portland, Maine. Haven’t done this one since 2012, and I was glad to be back. 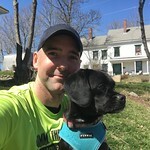 My previous post already covered the basics of the ZombiesRun Virtual Race, so this post will dive right in to cover the 10K race, leader boards and a couple of minor glitches in an otherwise fantastic event. After dismissing them as silly wastes of money for a long time, I finally wound up doing a virtual race. This one was special, though. 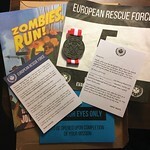 This one had goodies, zombies and a real way to track the times of the runners involved. It was from Six to Start, and it was fantastic. This race is kind of special, because it’s the only one in New England that I’ve done three times. In Charleston this was common, but since then I’ve moved a bunch of times and just didn’t have the roots required to be a regular anywhere. 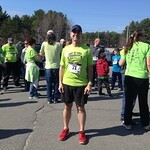 This lovely race is a confirmation that I am now a permanent Mainer. This one was a bit odd. The website had the name of the race, the date… and that’s it. The Active.com page had an address for the Starting Line, but that was a mile from the registration desk. I guess they thought only local people would show up. 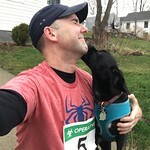 My wife and I did this race last year, and it had some problems. In fact, I called it a mess. 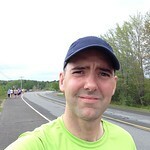 I wanted to try it again because it’s a newer race and the organizers seem to have been hit with a stroke of bad luck. I wanted to see what the next race would be like, and I wasn’t disappointed.